ROCKLAND - Bright and well finished 3 plus 1 bedroom, 2 1/2 bathroom home in a great family neighbourhood. Close to schools, golf and recreation. Kitchen features quartz counter top with lots of cupboard space. The main floor 2 piece and the second floor full bath also have beautiful quartz counter tops. Fully finished basement with fourth bedroom and 3 piece bathroom. Basement features a great family room area. The deck off the dining area is large and has access to the backyard. There is a good sized shed for storage in the backyard. The roof was reshingled in the fall of 2017. 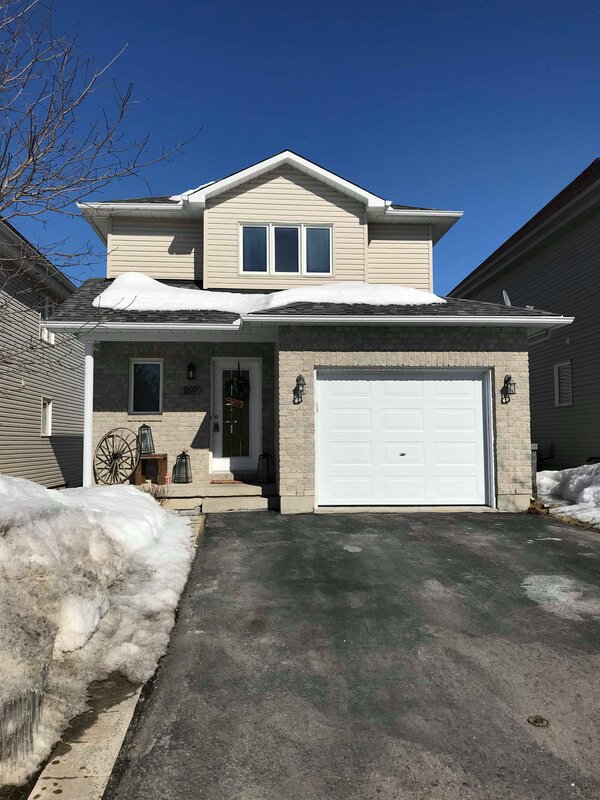 Great townhome in very popular Barrhaven, close to all amenities and walking distance to Costco. This 3 bedroom has a large main bath including soaker tub and separate shower and a cheater door to the master bedroom. The kitchen features a gas stove and an island counter/breakfast bar which is attached to the open concept living and dining rooms. Cozy fireplace in the lower level family room. Fully fenced yard with stamped concrete patio and shed. Bright spacious 3 bedroom row unit in established area of Barrhaven. Call me for more details.